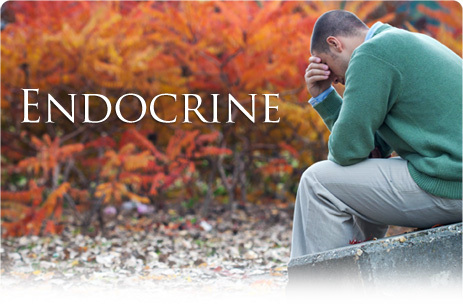 If you experience depression, difficulty concentrating, irritability between meals, headaches, poor sleep patterns, or difficulty with weightloss, these are just a few of the symptoms of endocrine imbalance. Additionally, these problems provide insight to glandular dysfunction that also has a significant effect on the healing of muscle, joint and spine conditions. Our Integrative providers are trained to recognize glandular dysfunction and provide safe, effective, and proven recommendations for feeling better. 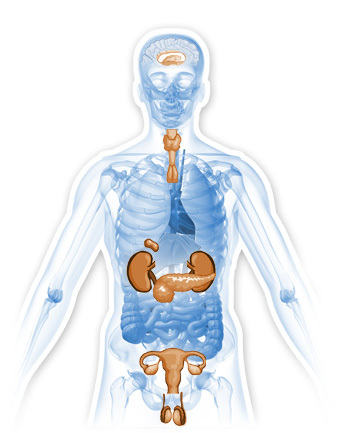 If you suspect endocrine and hormonal dysfunction is preventing your body from healing, contact our office for consultation and examination.